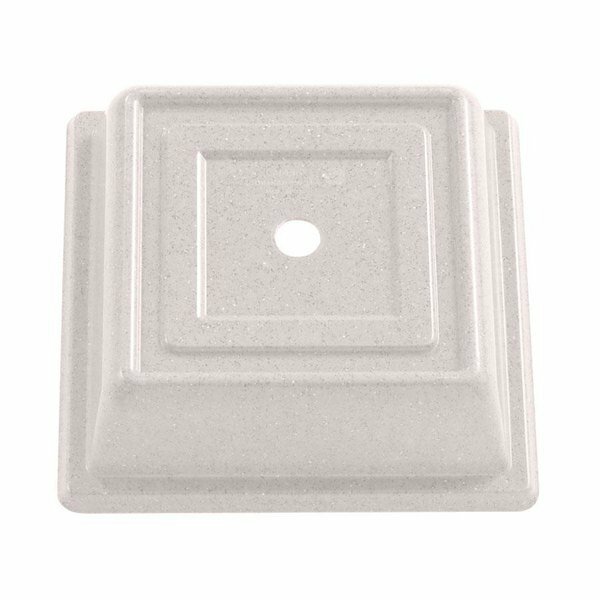 Made of insulated plastic, this Cambro 978SFVS380 ivory Versa Camcover 10" square plate cover lets you provide excellent in room meal service at hospitals, correctional facilities, or assisted living communities without the frustrations of traditional plate covers. The Cambro 978SFVS380 Versa Camcover is lighter, quieter, and keeps foods warm longer than comparable metal plate covers. Because it's made of a non-porous plastic, the Cambro 978SFVS380 square plate cover is totally stain and odor resistant. The Cambro 978SFVS380 Versa Camcover 10" square plate cover can withstand temperatures up to 300 degrees Fahrenheit. It has an overall height of 2 3/4". Great plate cover for square plates!! Easy to stack salads in a cooler for banquet service!! Works nicely to transport plates a long way through a dining room or outside to a patio!! !